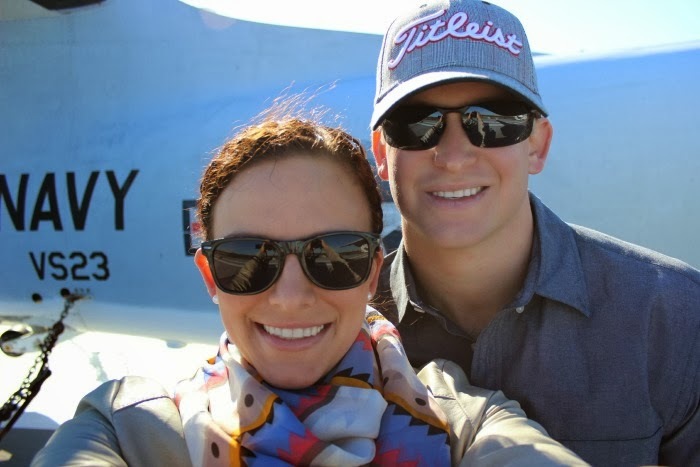 This weekend my husband and I took full advantage of the gorgeous weather and acted like tourists, again! After watching the US beat Russia in Olympic hockey (and seeing Pittsburgh Penguins players representing!) we finally headed to brunch on Saturday. Hominy Grill definitely lived up to it's reputation, even though we had a 40 minute wait. I ordered the Charleston Nasty which is a fried chicken breast on a biscuit with sausage gravy. Oh yeah, and a Bloody Mary. Yum! 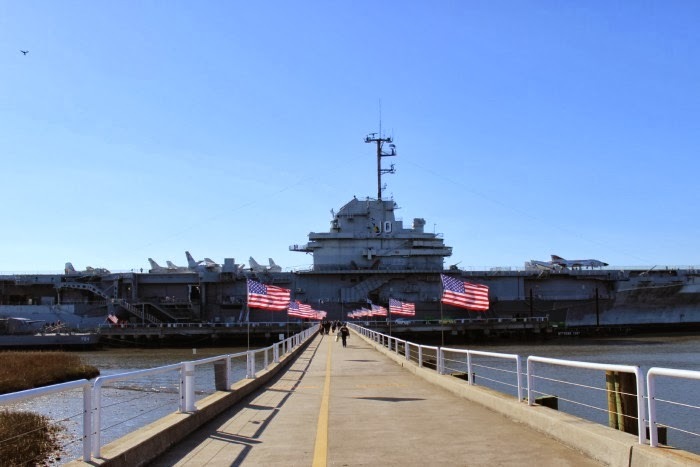 On Sunday we used a Groupon for a visit to Patriot's Point to see the USS Yorktown, the giant aircraft carrier sitting across from the Charleston Harbor. 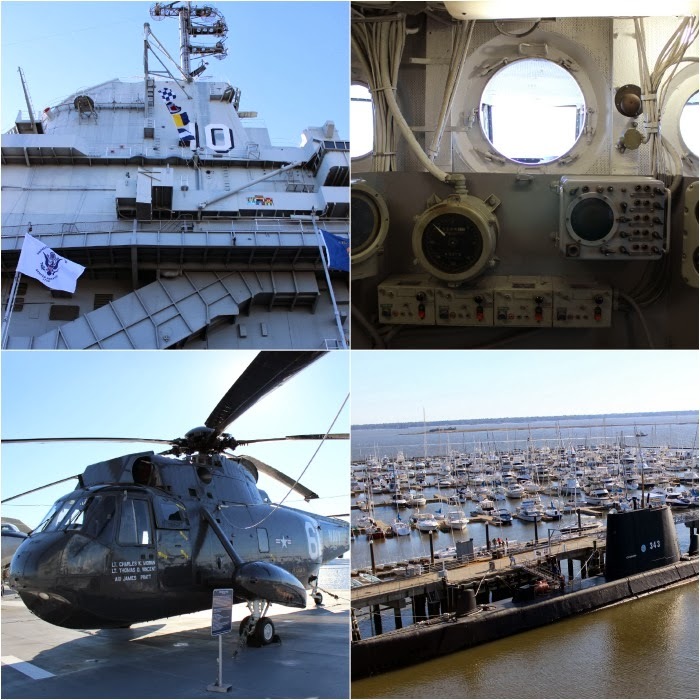 My husband and I are geeks in that we love seeing that sort of thing, but after checking out the aircraft carrier, we just did a quick walkthrough of the USS Laffey, a destroyer docked next to the USS Yorktown. I thought I'd feel too claustrophobic to go into the submarine, so we skipped that and headed home to be lazy the rest of the night. If you like this sort of thing, I would definitely recommend checking out Patriot's Point while in the Charleston area. It's really interesting seeing everything up close, see how huge that aircraft carrier actually is, learn the history of it all, and earn a deeper appreciation for those who serve our country. That being said, I'm glad we got half off admission. Everything kind of started looking the same once we got to the destroyer. I hope you all had a great weekend! If you're one of the lucky ones with a day off today, I'm jealous. That Charleston Nasty sounds exactly like something I would order. In fact I probably would have ordered your whole meal. Yum!! 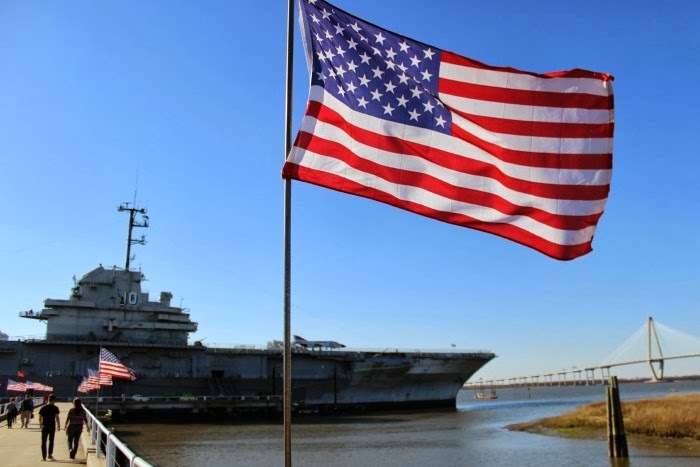 Yesterday was a great day for going to Patriots Point. It was gorgeous out! It's nice when you are in an area where you can play tourist, I love playing tourist! What's the point living somewhere fun if you can't enjoy it? Exactly! :) We usually wait for visitors to do the touristy things, but this weekend was too pretty to pass up! Looks like a gorgeous weekend! I am all about a good bloody mary at brunch and I love the snood you picked up! I am working too. It was such a pretty weekend. Did you see the temps are going to be in the 70's this week!? Hooray!! Your brunch looks amazing! And watched the Hockey game on Saturday as well--amazing! It must have been SO NICE to have good weather this weekend :) And the pic of your meal has me salivating. Oh, that makes me want to find a recipe to re-create your breakfast! What a nice weekend! That is a good idea! I bet there are some good recipes out there, maybe a Paula Dean!? That breakfast. I'm dying it looks so delicious. 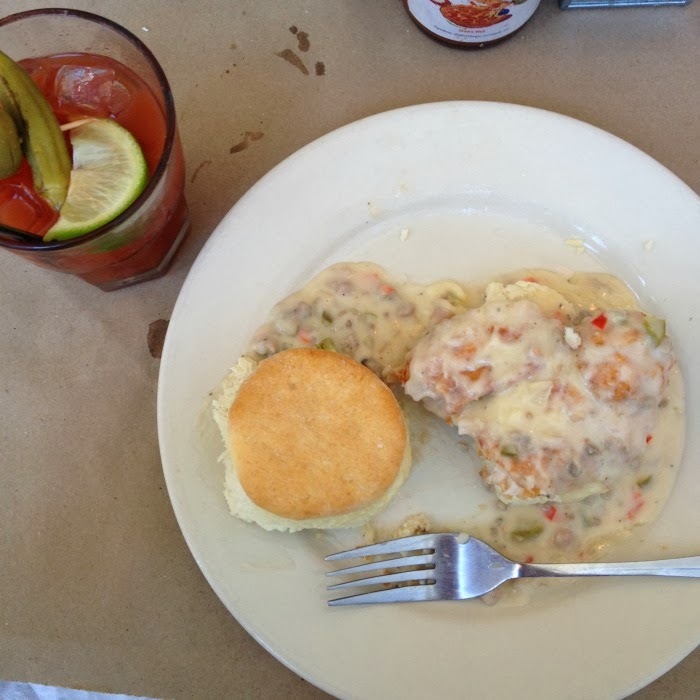 Biscuits and gravy are one of my faves, but the fried chicken really puts it over the top. I want that bloody mary just for the pickled okra! Yum! The snood (funny word) looks great on you!